We’ve selected our most popular treats and stacked them to create a tower of gourmet cookies, nuts, chocolate covered pretzels and more. 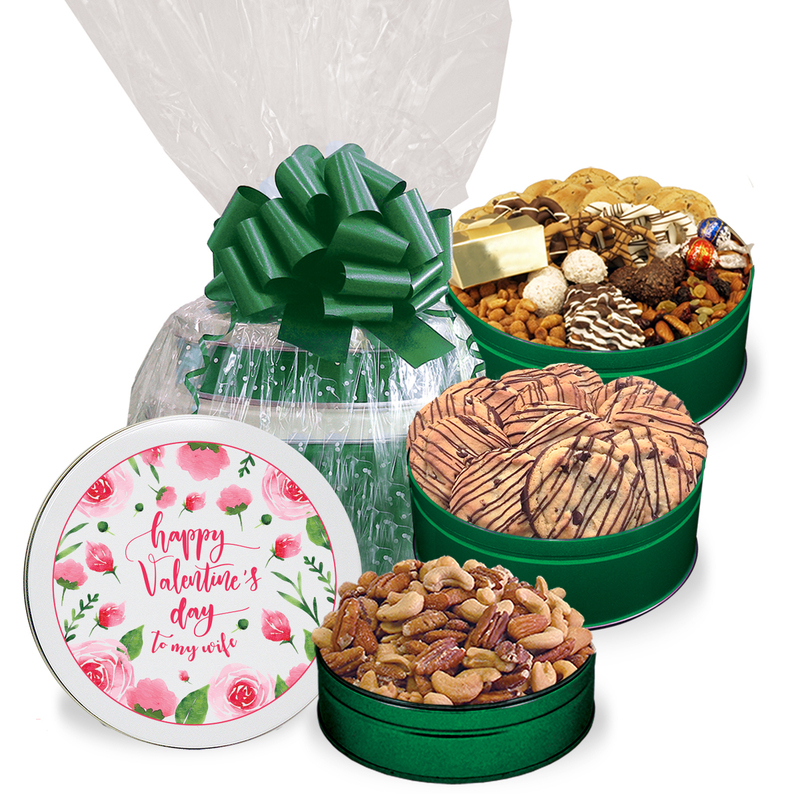 In our Valentine Triple Delight Tower we’ve selected our most popular treats and stacked them to create an impressive tower of gourmet cookies, nuts, chocolate covered pretzels and more. 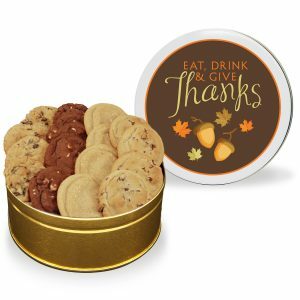 Choose a beautiful stock design tin like “Someone Loves You.” You can also personalize your tins with your own picture or message in one of our winter themed templates. 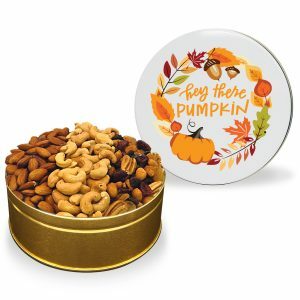 Fancy Mixed Nuts – Small Tin – 14 oz. cashews, pecans, walnuts, hazelnuts, almonds and Brazil nuts. 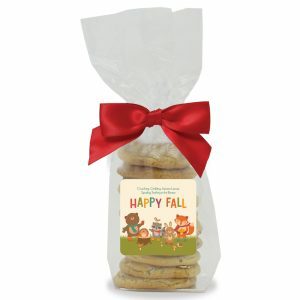 Dreamy Drizzle Chocolate Chip Cookies – Regular Tin – 16 fresh-baked gourmet chocolate chip cookies layered in and drizzled with creamy milk chocolate. 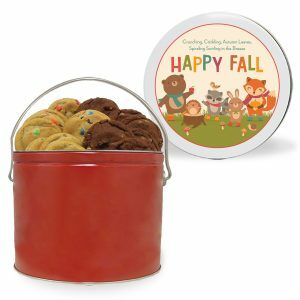 Cool Classic Assortment – Large Tin – 10 fresh-baked gourmet chocolate chip cookies, 8 oz. honey roasted peanuts, 6 oz. gourmet cranberry nut mix, 3 milk chocolate mid-size pretzels, 3 white chocolate mid-size pretzels, 3 peanut butter mid-size pretzels, 3 milk chocolate peanut clusters, 5 milk chocolate pretzel clusters, 5 white chocolate pretzel clusters, 3 Lindor truffles and a Gold Touch box with 2 Lindor truffles.